Sustainable development of India: Is CSR the solution? Prime minister Narendra Modi has urged corporates to contribute towards the national development agenda through corporate social responsibility (CSR) activities, but the corporates are still caught up in the compliance zone to follow the legal mandate on CSR. Who will bridge the gap is the question. India is the first country in the world to legislate CSR, by amending the Companies Act, 2013, mandating that firms with net worth of Rs 500 crore or more, turnover of Rs 1,000 crore and above or net profit of Rs 5 crore or more need to spend at least 2% of average net profit for the preceding three financial years on CSR activities. The government has also prescribed activities that qualify as CSR including eradicating hunger, poverty, promoting education and skills, gender equality, ensuring environment sustainability, protection of national heritage, and protection of armed forces veterans, rural sports, setting up technology institutions and also contribution to the Prime Minister Relief Fund. The CSR fund pool of India Inc. is close to Rs 14,000 crore as estimated and disclosed by finance minister Arun Jaitley who also asked corporates to contribute this fund judiciously towards development. Ironically, even after such a legal mandate, India is still failing to meet its national socio-economic development targets and achieving the new Sustainable Development Goals (SDGs) of the United Nations. As a signatory to the 2030 Agenda for Sustainable Development, India is committed to participate in the international review of progress of SDGs on a regular basis. 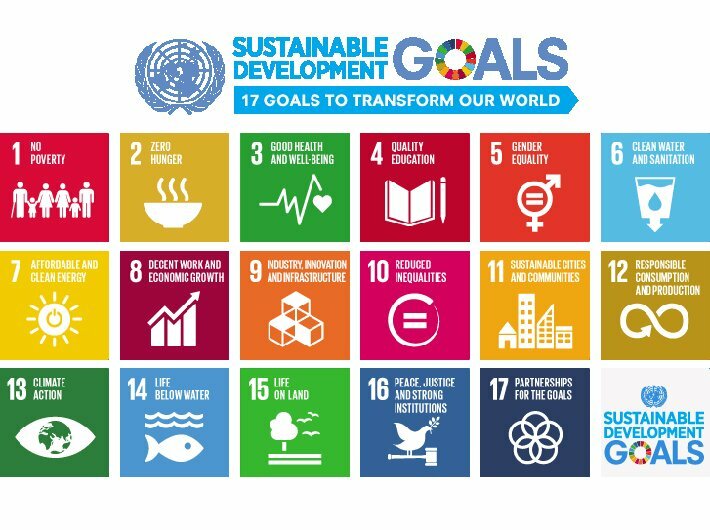 What are SDGs and why should India aim to achieve these goals? The SDGs are a set of 17 universally applicable, indivisible goals with 169 targets to be achieved by 2030. India too ratified these goals in 2016 and thus has, today, about 12 years to achieve these tremendously ambitious goals. However, sustainable development in India’s context poses some unparalleled challenges – with 18 percent of the world’s population and a mere 4 percent of global natural resources; with nearly 30 percent of its over 1.2 billion population living in extreme poverty; with more than 50 percent of the population not having access to modern cooking energy and defecating in the open; a very poor performance on mitigating malnutrition, and so on – ranking it a lowly 110 on the sustainable development index despite impressive economic growth rates over the last decade and a half. That the country is taking its commitment seriously is obvious from the fact that Niti Aayog has been assigned the role to ‘coordinate’ the achievement of India’s SDGs both in quantitative and qualitative terms. However, as widely recognised, globally the greatest challenges to meet the SDGs are the issues of policy coherence and integration across targets and goals. Mapping SDGs on to ‘nodal’ ministries may be an administratively easy mechanism for assigning responsibilities but lacks imagination on how to effectively, and in an accelerated manner, deliver necessary outcomes. Niti Aayog as a coordinating mechanism has not been empowered to demand policy coherence to the level that would ensure the greater good. If necessary, the Niti Aayog should be given a clear mandate to certify all programme expenditures for their sustainability impact. Niti Aayog’s task would also be facilitated if the performance appraisal and recognition systems of responsible functionaries were to be modified to encourage a systemic approach to achieving SDGs. Even within its current mandate, Niti Aayog needs to move quickly beyond measurements and indicators to the concrete quantitative assessment of the inter-linkages, life cycle economic analyses of integrated, systemic interventions and the design of alternative governance mechanisms for optimised impacts. The gap: Who will bridge it? Considering the challenges India is facing and also acknowledging the resource limitation for development, the CSR funds of the private sector should be channelised towards SDGs. For this, the ministry of corporate affairs and an institution under its aegis, Indian Institute of Corporate Affairs (IICA), should integrate the SDGs and its associated targets into Schedule VII of Section 135 of the Companies Act, 2013 that governs CSR implementation in the country. Though the current list of prescribed activities also has overlaps with the SDGs, it is very broad and subject to interpretation, whereas SDGs and its associated targets are very specific and would help India Inc. to broaden its development horizon and contribute directly towards the national and global development agenda. This integration would help India in channelising its CSR pool to achieve the SDGs. I have raised this matter with UNDP, United Nations Global Compact (UNGC) and IICA. I’ve already done advocacy including writing letters to the PMO, UNDP, United Nations Global Compact, Niti Ayog and the ministry of corporate affairs. I’ve also discussed this at various public forums. After long continued efforts, UNGC is forming a committee to brainstorm on this proposal. However, Niti Ayog and the government are yet to come up proactively on this. Sharma is a CSR and sustainability expert. She was named among '100 Most Impactful CSR Leaders Globally' by World CSR Congress and ‘Young CSR Leader’ by India CSR in 2016.